The River Etive flows down the glen through a succession of falls, over rocks which have a wonderful pink colour. 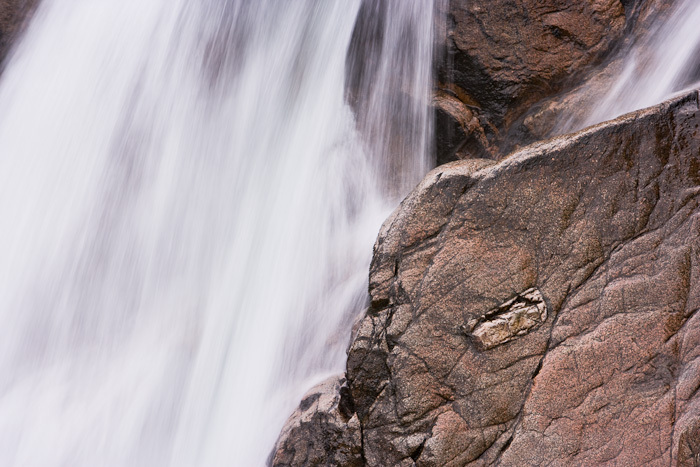 A series of ledges, over which the water flows, have been gouged into the surrounding rock by the force of the water. These ledges are a popular spot for kayakers who like a challenge. I like to think that this rock, with its battle scarred face, is defiantly standing against the unstoppable force.